Glenn has over 30 years of experience in rural property sales with more than 100 individual farm sales valued at over $150 Million dollars featuring sales of some of the premier properties in the central wheat belt region of WA. Glenn also has a broad knowledge of the day-to-day workings of farm businesses around the state after operating his own farm management consultancy business advising clients on financial planning, price risk management and production planning throughout broad-acre agricultural regions of WA. 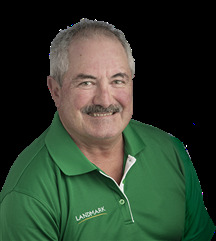 Over the many years of his involvement with farmers and Landmark, he has developed relationships and a comprehensive network of buyers and sellers across the state, including contacts within the investment funds industry. Lisa recently joined our business after successfully completing her registration as a real estate sales representative. She comes to us with extensive knowledge of local communities and surrounding regions having lived in the area for over 30 years. Lisa with husband Gray, have three adult children and farm locally in the Qualeup area. Lisa is a very active person whose greatest passion is water skiing and regularly competes at state and national level. 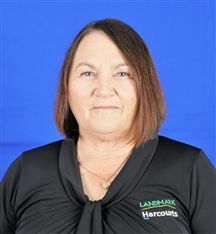 Lisa will be working exclusively in residential and lifestyle markets within the Kojonup/Boyup Brook region and would like to extend her services to you. Lisa as she is committed to giving you the expert service and advice you require to sell your property. Meet ROB FRENCH – Your Real Estate Specialist servicing PINJARRA TO BULLSBROOK Landmark Harcourts are pleased to announce the appointment of Rob French as the Real Estate Specialist, servicing the Pinjarra to Bullsbrook area. Rob brings a wealth of Real Estate and Sales experience to this role as well as an unbridled enthusiasm, energy and commitment to provide the highest level of service to the community he serves. 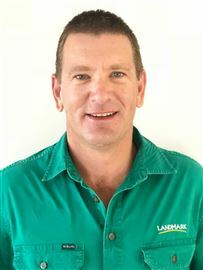 As a recent migrant to Australia from South Africa where Rob owned and managed his own rural, lifestyle property for over ten years, Rob says, “I am thrilled to have this opportunity to be a part of, and to represent, the Landmark Harcourts brand with its massive strength, its tried and tested systems and its reputation for quality service in rural Australia. I’m also thrilled to now be an Australian and to embrace the ideals, principles and wonderful lifestyle this great country offers.” Rob loves following sport, especially cricket, and he is learning to appreciate the subtleties of the AFL. He loves the outdoors, camping and exploring new horizons and has motor-cycled across Rajasthan and extensively around the USA and Canada. With a background in accounting, finance and business consulting, and his experience in various capacities in Real Estate, Rob understands the process of negotiating the best possible deal for his clients. “I love property, the rural lifestyle and dealing with people and I look forward to developing lasting business relationships in the area I service, based upon excellent service, meeting expectations and earning trust,” says Rob. 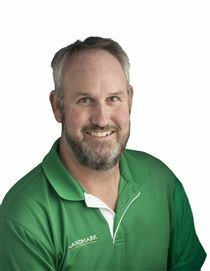 Rob will be based in the Midvale office and can be contacted on 0401 970 997 or by email on robert.french@landmark.com.au. If you’d like an appraisal on your property anywhere between Pinjarra and Bullsbrook or are considering buying your own piece of rural tranquillity within the area, call Rob immediately! Steve has been specialising in and focused on Rural Property sales since 1982, he firmly believe in putting both Sellers & Buyers together for a mutually acceptable result. 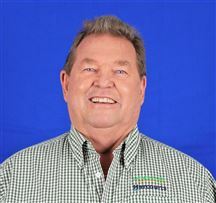 His 36 years’ experience has seen many successful sales settled across the Central Wheatbelt as well as the Upper Great Southern & Eastern Wheatbelt Regions. Steve has a proven track record and a comprehensive list of both Buyers & Lessee’s, so if you're are thinking of Selling or Leasing your Rural property contact Steve today. 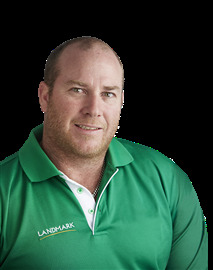 Ty Miller has been appointed Landmark Harcourts Real Estate representative for the area of Wickepin, focusing on the real estate residential and lifestyle market. He grew up on the family farm near Toolibin, 30 kilometres south east of Wickepin and attended the Wickepin primary school before boarding at the Narrogin Residential College while attending Narrogin Senior High School. He then completed a science degree at Curtin University before returning to farm in 1998. Working with his my dad on the family farm for 11 years, with one year off while I played football in Perth. He began working for Landmark in April 2009 before buying the Wickepin Landmark Livestock agency in August 2009. In 2014 he added the area of Kulin to his livestock agency. 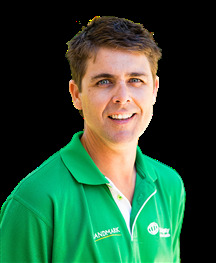 ‘I play football and cricket for the local Wickepin teams and I sponsor many local sporting clubs and charities in the Wickepin and Kulin areas,” Mr Miller said. He is married to Annika Miller and they have daughter Lucy. Give Ty a call on 0429 881 108 to discuss your residential and lifestyle needs in the Wickepin area. Landmark Harcourt WA Real Estate – Looking after your every need. SOLD - A jewel in the Crown!